Former Education Secretary Ruth Kelly has defended her decision to send her son, who has "substantial learning difficulties", to a private school. She said she had removed her son from a state school after professional advice recommended he be placed in a school "able to meet his particular needs". Ms Kelly said the local authority had accepted the advice, but she had not asked for any help with the cost. She said: "I, like any mother, want to do the right thing for my son." She added: "I appreciate that some will disagree with my decision. I understand why, but we all face difficult choices as parents." Ms Kelly added that her three other children continued to be educated at state schools, and it had been her intention for her son to do so. He would remain at the £15,000-a-year private school for "a couple of years before he begins at a state secondary school". Ms Kelly said it was not uncommon for pupils with substantial learning difficulties to spend some time outside the state sector to help them progress. "Sometimes this is paid for by the local authority. In my case, I have not and will not seek the help of the local authority in meeting these costs," Ms Kelly said. Although she did not say where her son had attended school, Tower Hamlets Council issued a statement about its special needs provision. It reads: "We are confident that our schools are well resourced and provide high quality education for all learners, including those with special needs." However, Baroness Warnock, one of the architects of the special needs system, said support for children with learning difficulties in mainstream state schools was often "extremely inadequate". She added: "Partly, people come and go. And partly, if the child seems to be making progress, then the support is removed and, of course, then the child slips back." The issue of private education has long been controversial within the Labour Party. 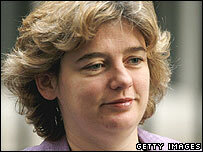 Tony Blair's official spokesman declined to talk specifically about Ms Kelly's child. But he said the prime minister "supports absolutely" a parent's right to decide on schools regardless of what their job is, and that there should be a "mix of provision" of state and private schooling. He denied there was a policy of closing special needs schools, adding: "The rate of closure has slowed down under this government." Labour's Chief Whip Jacqui Smith said "the vast majority of people in Parliament and in the country" understood that doing "the right thing for the child" was the most important thing for parents. Education Secretary Alan Johnson said: "At the heart of this there's a child with educational needs... so it's a very much a personal decision based on a whole set of complex areas." I've no problem with them sending their children private - as long as they admit the weaknesses with the state system. But Labour MP Barry Sheerman, chairman of the Commons education select committee, said: "The state system at its best should be able to provide for every kind of special education need - but at the moment in some parts of the country that's not true." London's schools commissioner Tim Brighouse said it was "incumbent" on those in the state education sector "to set a personal example". Conservative leader David Cameron, whose son attends a state special needs school, said: "We all have to make the decisions as parents first, not as politicians. Ruth Kelly is a parent first and foremost." Liberal Democrat education spokeswoman Sarah Teather said: "It's unfair to criticise a parent for choices they make for their individual child."